What the title says are not my words but these are the words said by Mr. Nitin Jain, Co-founder of OfBusiness, which is a technology-driven SME financing platform that adds value to SME’s business beyond financing through its raw material fulfillment engine and new opportunities platform. 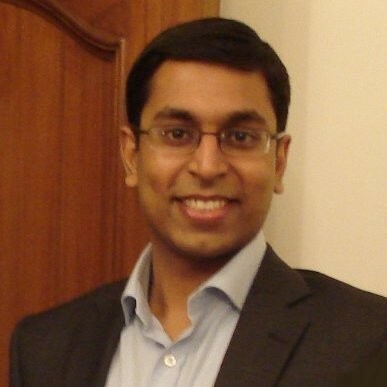 A post graduate in Computer Science from IIT Delhi and having worked for almost 7 years in RBS, Mr. Jain co-founded OfBusiness in August 2015. An experienced entrepreneur with a demonstrated history of working in the e-commerce industry, he is a strong entrepreneurship professional. He is skilled in Business Development, Fundraising, Investment Banking, Strategy and Credit risk. The most amazing thing about him was that I didn’t have to persuade him to give this interview. As soon as I came to know about the task assigned to me as a part of the competition by Vito Altor, I knew what I need to do. I had to use a skill which I am best at – networking! I immediately contacted the few professionals who met all the criteria mentioned, through LinkedIn. And no, I didn’t have to post random articles on the platform! I messaged the professionals individually requesting them for a short interview and Mr. Jain was one of the kind people who gave me prompt response and got ready to help. I was really impressed by the eagerness in such successful professionals to help students like me. The short conversation I had with Mr. Jain over LinkedIn can teach us big lessons of life! – One incident from your time in college/b-school that helped shape your professional life ? Mr. Jain chose to go to financial services in the UK in 2008 (beginning of the crisis) instead of Mckinsey. Going to Mckinsey, which was much more stable, could have given him a comparatively easy life. On being asked what made him choose an unstable or rather, difficult path, he said “it taught me much more than I could have learnt in a stable environment. And roller-coaster teaches you more than a straightforward drive”! This explains his decision to leave a well established career in RBS and start something on his own and use his skills acquired throughout his career to its fullest. – One passion of yours that helps you become better at your mainline career? To this he answered – “my passion is to keep myself updated on new technology and also reading a lot on LinkedIn”. He, being so active on LinkedIn not only helps him stay updated on the recent happenings but it is beneficial for people like us too who rely on such platforms for professional help and networking. – When you are looking for people in your team, apart from specific skills, what kind of attitudes and approaches do you look for in candidates? Though these are qualities mostly applicable to sales domain, generally all candidates are expected to possess these to excel in their work and in their career. – Don’t always opt for an easy path. You can create wonders if you choose the unconventional or the “not so safe” path and keep working for your ultimate goal. – Stay updated about the recent technology and news as it always helps in broadening your horizon by making you aware of too many aspects and applying them in your career/company for building unbeatable strategies. – Networking is the one skill each professional should be good at as it helps you interact with so many people. It ultimately opens the door for more opportunities to learn, grow and excel in whatever I do, just like the way it gave me a way to interact with Mr. Jain. The advantage of networking? We got these insightful learning from him which I or maybe other people reading this article too would apply in their professional lives and share it with others.